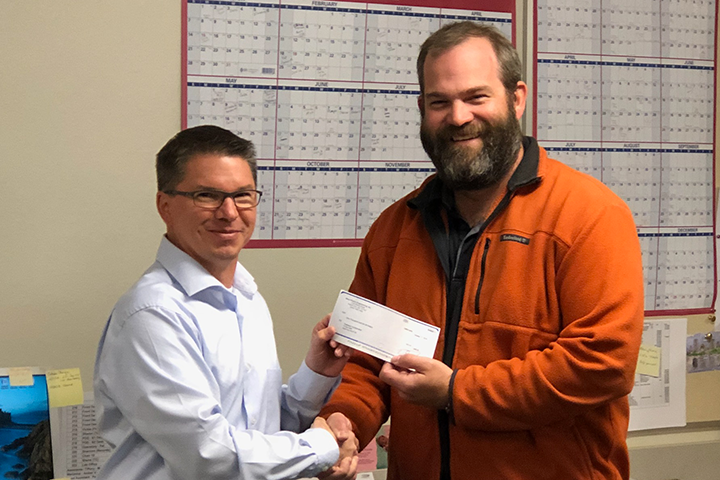 Rapid City Invests in Diabetes, Inc.
On Nov. 9, Electrical Engineer Matt VonHaden (right) delivered our final “Ways to Give” Community Investment donation for 2018 – a $1000 check to Diabetes, Inc., in Rapid City, S.D. Matt presented the check to President Jason Byars, and the money was used to sponsor a table at the organization’s 16th Annual Taste of Caring fundraiser on Saturday, Nov. 10. Taste of Caring is an evening of fine dining and auction items, and is Diabetes, Inc.’s largest annual fundraiser. All proceeds go toward camps for families of children with diabetes, support groups, case management, scholarships and other services. Several team members from our Rapid City office joined Matt and his wife Morgan (a Diabetes, Inc. board member) at the West Plains table, including Mike and Michelle Sigman; David and Lindsay Dowling; and Kelli and Jim Crouse. 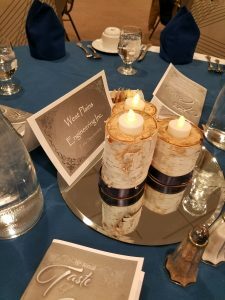 West Plains Engineering “Ways to Give” was launched in 2018 with the goal of empowering employees to make a difference in their local communities. Not only does each have a voice in selecting causes for our firm to support financially, but each is also recognized and rewarded for getting out and participating in local events and initiatives that are personally important to them. Congratulations to Diabetes Inc. and thank you to Matt for making a difference in Sioux Falls!